Observe a child these days. Chocolate Advent calendars are opened diligently day by day, with mounting expectations. Lists to Santa are drawn up with coloured drawings and the glee of waiting for gifts. Eyes brighten up in toy shops. Helping hands are lent to put up decorations and lights around the home, on Christmas trees and cribs. Eyes that wait in earnest, hearts which never let go of the dream that is Christmas. Christmas: come soon! Watch some other people these days: feel their sense of foreboding as lights are switched on too early. Notice their furrowed brows as they walk swiftly to complete the extra chores and shopping sprees for family gatherings which, while bringing much joy, stress even more already stretched-out lives. Christmas: already?! Then watch a lonely person in the coming weeks: the increasing sense of isolation and despair as their social and personal isolation or grief is thrown into sharp contrast by the gaudy lights around. 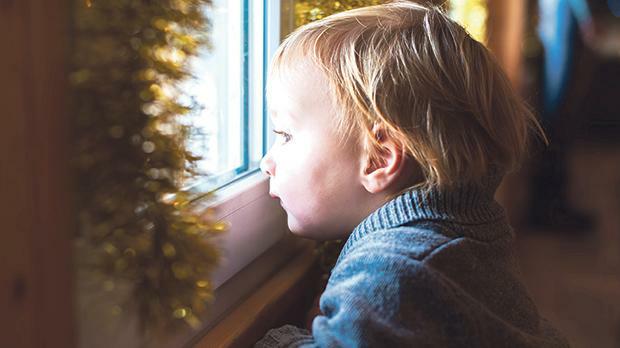 A child in a children’s home wondering with whom he or she will spend Christmas Day. A prisoner hoping someone visits. A family who have lost a daughter or son this past year. Couples grappling with empty nests as their adult children celebrate with friends. Adults struggling with sadness that just won’t go away as the days get shorter and darker. Christmas: again!? It is so easy for the adult within us to pull us to the darker side of Christmas, because essentially the original story of Christmas was dark. It happened at night in the middle of nowhere, probably in the dead of winter, with no one but the immediate characters present. The angels and shepherds and Magi and all the other crib characters are later biblical and cultural embellishments. Essentially, the advent of Jesus in the world was a non-story, the simplest of enterings into our world. Yet, in this darkness, precisely in this darkness, in this non-story, is the greatest story of all. God remembers! God keeps to His Word! It is not darkness or despair or grief that wins the day, but this gentle, fragile irruption of God into history, this subtle, defiant and complete destruction of cynicism with hope: true, genuine and lasting hope. Plus ça change, plus c’est la même chose (The more it changes, the more it stays the same). We live in a time when cynicism in our institutions, including the Church, seems to become calcified. The sheer relentlessness of life threatens to overwhelm our spirit. We give up, at times even on ourselves! In all this, the summons of Advent are like a lamp lit to show us the way to Christmas. Each day of Advent, pregnant with promise, helps us reconnect with those times in our life, when, like children, we believed that all things are possible. That as we wait, God’s faithfulness will prevail, and our hopes will be fulfilled.